PACA’s Initial Comments on Copyright Small Claims is very good reading and substantiates many points that ELI has made for years. It actually reveals what stock photo companies know but they don’t want YOU to know as an extortion letter recipient. Naturally, I have many comments on the matter. The PACA Initial Comments document is something to behold. It is a gift to the ELI Community. This appears to be in the public domain since they are filing it with the Copyright Office. So, ELI will upload and keep a copy in our document library in case they decide to delete it from their website. The industry has done a very poor job educating people or trying to convert alleged infringers into customers. The so-called education by the industry is largely a joke. ELI has done a better job educating alleged infringers than they have which is why ELI continues to gain goodwill and climb in stature on the Internet. PACA’s members are their own worst enemy and continue to drive ELI status upwards. PACA as with the rest of the stock photo industry keep blaming piracy and infringements as the cause of their lost income. The reality is the sheer abundance of imagery being pumped out daily diminishes the market value of all the images. Additionally, with high-quality digital cameras being affordable to so many people, there are even more people producing images. Newspapers are going out of business because people don’t need newspapers anymore. Book publishers are going out of business people they aren’t needed anymore. The television industry is in turmoil having to settle for very small viewership. People spend a lot more time on independent entertainment such as YouTube. PACA is in denial of these larger technological trends. Boo-hoo. They admit that filing lawsuits in federal court is an uphill battle. Letter recipients need to read this very clearly. Photographers and stock photo agencies want to be in the business but don’t want to do the work to register their work. Instead of dumping out work, how about actually selecting those images that are worth something to register? Song writers, book publishers, and authors take the time to SELECTIVELY register their work. They don’t register every random brain fart they ever created. Just because a “professional photographer” took 100 photos doesn’t mean all of them are valuable. And if they think they are all valuable, then register all 100 of them! The only people complaining about the copyright registration process seems to be the stock photo industry. I don’t hear these complaints from any of the other media industries. They obviously don’t like the recent rulings. These recent decisions did not suddenly become available to everyone. They became more widely accessible because the ELI Team not only helped make available those decisions widely available but we also explained them in way that ordinary people could understand. PACA’s members continue their campaign to threaten, mislead, and lie to letter recipients. ELI will continue to clarify the truth. What they consider “adequate licensing fees” is actually outrageous, disproportionate, and totally out of line with actual market value. PACA’s members hate that even those infringements that fall into statutory damages must somehow be connected to some sense of reality of actual damages, not simply a calculated number that defies explanation. They won’t admit that in some situations, a take down is perfectly acceptable solution. Not every so-called infringement is deserving of monetary compensation. And if they want it, then they need to work to prove it. Filing lawsuits continues to be a rare occurrence because it is very expensive and cumbersome. Quite frankly, what PACA doesn’t acknowledge is the abuse of the court system by their sister industries by the movie, newspaper, and music industries. Judges have increasingly become tired of heavy-handed, outrageous, disproportionate lawsuits on small parties that cause little or no damages. PACA practically admits to knowing that any damages they might collect would not be financially feasible. Most judges aren’t going to rule based on paying the attorney bills. They are going to rule based on the actual market values and actual damages, not some concocted, astronomical number. All letter recipients should pay heed to this. All in all, this document was truly a gem of a find for the ELI community. 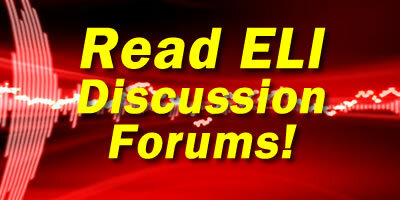 I am quite certain that it was not intended for the ELI Community to read or use to our benefit. Maybe PACA should get a clue and actually use some common sense about their members so-called economic losses.